If you don't use your body muscles, you can lose it, hence the expression �use it or lose it�. Most first time competitors in a San Diego martial arts competition will feel a great deal of anxiety before competing. It is usually the case that the San Diego competitors often have a big fear of people watching them. Although thought of as a new sport, MMA in San Diego has quickly become established and is built upon the techniques carried out in similar sports that have been around for decades. These include such established Olympic sports as boxing, Greco-roman wrestling, freestyle wrestling, judo and taekwondo. If you don't use your body muscles, you can lose it, hence the expression “use it or lose it”. We are excited to formally announce that the world famous Jeff Glover is now a part of the Victory MMA team. Jeff has won multiple world championships in Worlds, and Pan-American, as well as many other accomplishments in the competitive arena. More importantly, Jeff is a passionate and powerful instructor, committed to his students and their advancement on the mat. He is a unique individual, with few rivals on the planet. Jeff will bring a level of energy and camaraderie to the Jiu Jitsu team that won�t be surpassed. Jeff will begin teaching on Wednesday, January 2, 2013. Catch one or more of his classes that day at 10AM, 12PM, and 6PM. Jeff�s weekly schedule can be accessed on line at VictoryGyms.com, or at the gym. Victory MMA wins MojoPages award as the number one MMA gym in San Diego. No surprise. 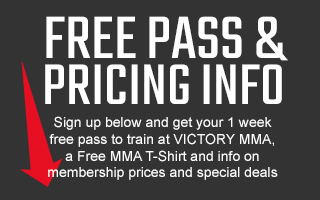 Victory MMA is San Diego’s premiere facility. We are 22,000 square feet of everything you deserve.